I had two bags of beets that I set aside to make some juice (carrot, beet, orange–which is fantastic).. both had come from our CSA box, a couple of weeks apart. 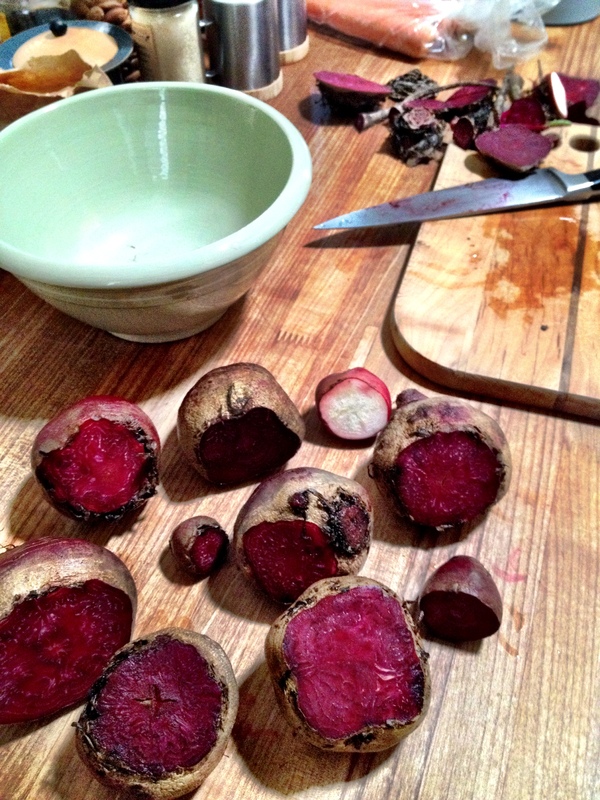 I noticed a few beets had softened up, but I read that was okay and proceeded to scrub and cut the beets into juice-able chunks. This is what I got…what is wrong with this picture?